Courtesy of BHHS Nevada Properties, Frank Napoli. GORGEOUS PULTE HOME LOCATED IN THE EXCLUSIVE GUARD GATED CLUB ALIANTE NEIGHBORHOOD! THIS HOME IS BEAUTIFULLY UPGRADED! GOURMET KITCHEN FEATURES ISLAND, GRANITE COUNTERS, FULL BACKSPLASH, CHERRY CABINETS, B/I FRIDGE & GE MONOGRAM APPLIANCES. SEP FAMILY ROOM W/GAS FIREPLACE & CEILING FAN, FORMAL LIVING ROOM W/BUILT IN SHELVES, HUGE MASTER SUITE, SURROUND SOUND SPEAKERS, COVERED PATIO W/CEILING FAN, PROFESSIONALLY LANDSCAPED & MORE. MOVE IN READY! 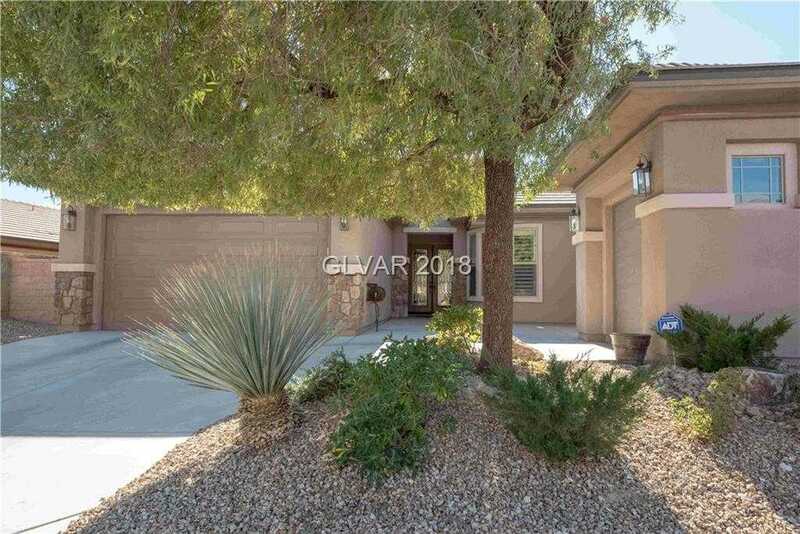 Please, send me more information on this property: MLS# 2046270 – $475,000 – 7377 Summer Duck Way, North Las Vegas, NV 89084. I would like to schedule a showing appointment for this property: MLS# 2046270 – $475,000 – 7377 Summer Duck Way, North Las Vegas, NV 89084.